﻿ Sathorn Grace Serviced Residence, Bangkok | FROM $32 - SAVE ON AGODA! 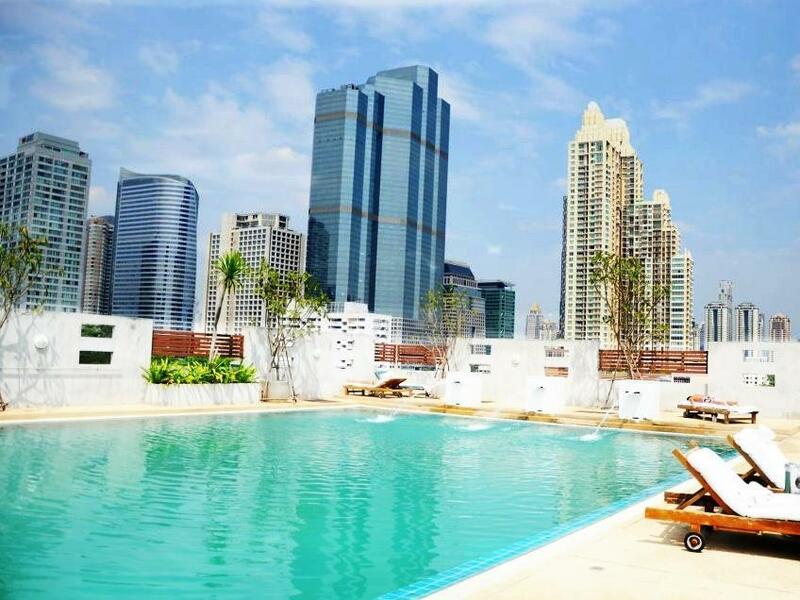 "The rooftop pool and exercise room with sauna is a delightfu..."
Have a question for Sathorn Grace Serviced Residence? "I and my daughter stayed for 4 days the staff is friendly and willing to help also only 3 minutes to Empire Tower via a shortcut ." "The hotel located near the central city." "It was a very comfortable stay and I really love the location." "The overall impression is very positive: it was a comfortabl..."
The Sathorn Grace Serviced Residence is an ideal choice for the ultimate getaway. With a 4 star rating, the hotel is perfect for experiencing a truly great vacation. The rooms here overlook the city, giving you a glimpse of the glittering city lights. This hotel is near St. Louis Church, Bambi Garden-Sathorn, H Gallery, Maruti Tailor, and Bangkok Christian College. From a bar to a shared kitchen, the Sathorn Grace Serviced Residence has a selection of dining and snacking choices. With a kids club, this hotel offers parents a secure childcare option to keep their children entertained. It features family rooms, so your whole family is provided adequate space to sit together. The Sathorn Grace Serviced Residence also provides a kids swimming pool to keep your little ones busy throughout your time away. If you want to spend the day simply relaxing and unwinding, visit the nearby massage facilities. 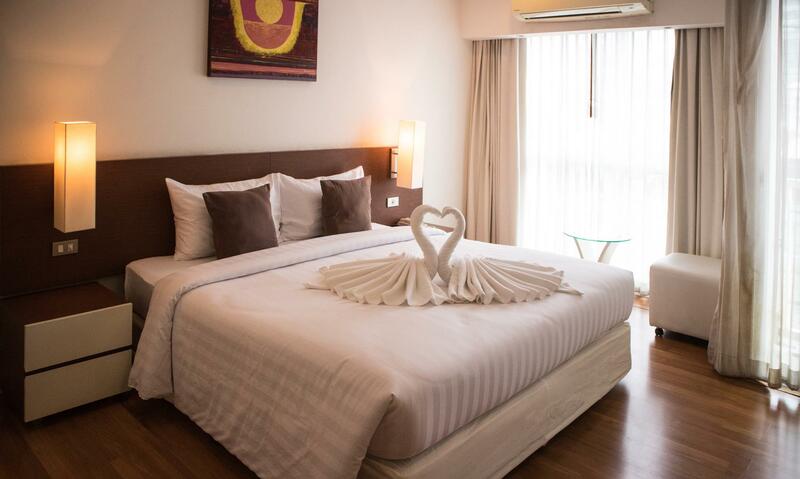 Offering guided tours, the Sathorn Grace Serviced Residence is a great spot to stay to learn about the area and see everything you can while you're here. With a salon, a chapel, a shrine, a laundromat, and a convenience store, the hotel provides numerous convenient features to make your stay more comfortable. It has selection of facilities for guests to take advantage of throughout their stay, such as a fitness center, an outdoor swimming pool, a garden, a sauna, and ticket services. 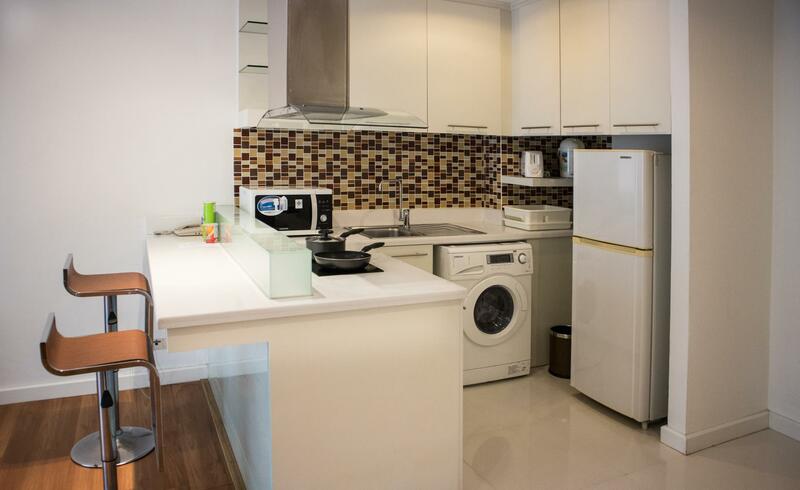 The Sathorn Grace Serviced Residence offers a number of useful services, such as dry cleaning services, a concierge, as well as a babysitting service. All of the rooms come with air conditioning, a shower, ironing facilities, and kitchenware. They also have a sofa, a closet, a clothes rack, a coffee or tea maker, and more. The Sathorn Grace Serviced Residence has free Wi-Fi in all rooms, as well as Wi-Fi in common areas, so visitors can connect with their friends and family without splashing out on data and roaming costs. With pet-friendly facilities, the hotel is ideal for guests who wish to take their pets on vacation with them. It has a front desk that's open at all hours, so there is always someone on call to help with any questions. Hotel staff speaks English, Filipino, Thai, Cantonese, Korean, and other languages. The Sathorn Grace Serviced Residence provides a 24-hour check in and check out service, allowing you to arrive at the hotel at the time that is most convenient for you. This hotel has an assortment of transport options including airport transfers, shuttle services, bicycle rentals, taxi services, and car rentals. "Had a meeting in bkk great services apartments all ok"
The hotel provides a complimentary half-day tour to all guests (one tour per one booking). Please contact the hotel for more information. The hotel has improved since our last stay in January this year. Problems with hot water was not remedied during our stay even though staff were notified on the second day, we still only had luke warm water on our departure 8 days later. Overall though we like this hotel and find it good value. We stayed at Sathorn Grace for 5 nights and realy liked it. The room is big and clean - great for longer stays. 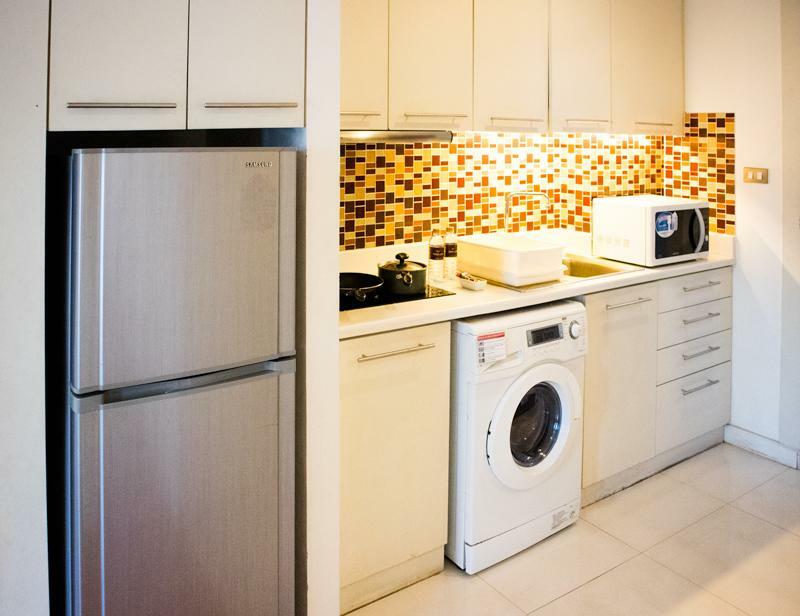 It has kitchen with big refrigerator, microwave, kettle and tableware. The bathroom has a separate shower. The king size bed is firm, similar to others in Asia. The pool is nice with amasing view from roof to the city. The fitness room doesn't have much equipment but enough to stay in good shape. There are a few restaurants in the area as well as Family Mart and 7-11. Thank you for taking the time to review our property, your comments are very much valued. We appreciate your comments regarding our customer service and ongoing upgrades. Our staff are trained to provide only the best in customer service, and we are pleased that you found value and hospitality during your stay. Our commitment to investing in our property will continue this winter with renovations to our banquet, rooftop and wifi areas. We look forward to seeing you on your next trip to Sathorn Grace Serviced Residence!